D2L News Announcement - Maggie Rouman, M.A. Announcements are a common action in any online classroom. The announcement area is where instructors post news, provide links and extra course information, or alert students to any changes. 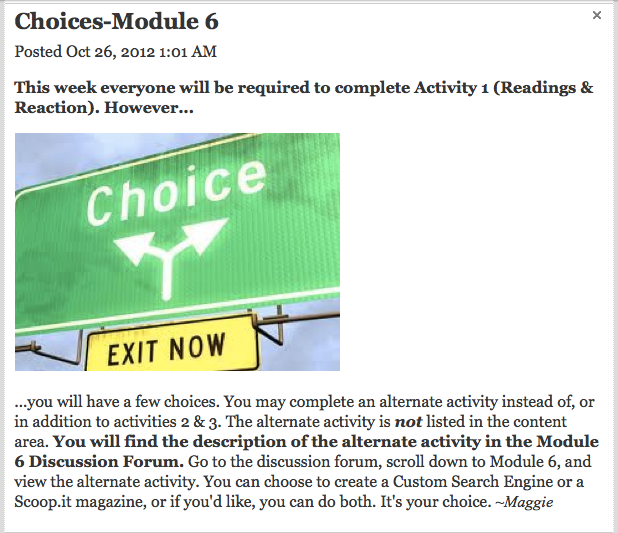 For Module 6 I created an activity, "Curating With Scoop.it." To alert the students of this activity, I created the following news announcement.